Product prices and availability are accurate as of 2019-04-19 03:04:16 UTC and are subject to change. Any price and availability information displayed on http://www.amazon.co.uk/ at the time of purchase will apply to the purchase of this product. 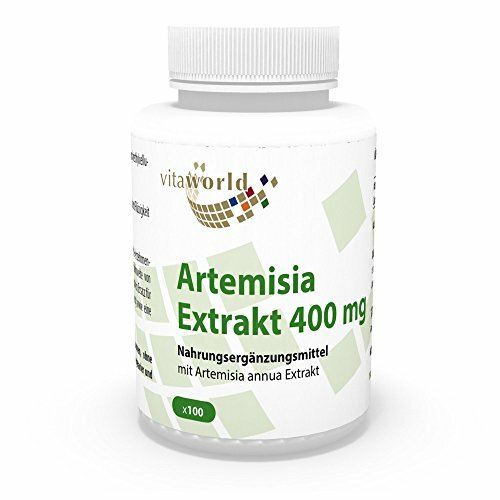 Artemisinin is a product that interacts with the iron stored in cancer cells. As cancer cells are full of iron, artemisinin targets these cells to create free radicals that can help destroy cancer cells from within. In the Dog Cancer Survival Guide, Dr. Dressler recommends not to use artemisinin and Apocaps at the same time. If you do wish to use Apocaps and artemisinin, you and your vet need to work out a rotating schedule-- five days of Apocaps (artemisinin is not to be taken during this time) and then five days of artemisinin (Apocaps is not to be taken during this time). Another reason as to why you should not use artemisinin continually is because the body actually builds up a tolerance to the herb-- making it less effective over time-- and the body stops absorbing it after five days. Dr. Dressler states that artemisinin may or may not be helpful for your dog, however, you should consult with your vet as they will know more about your dog's specific health situation and what supplements you should try in conjunction with the strategies you are currently using.